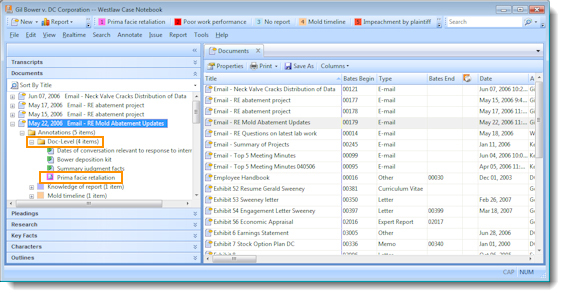 Case Notebook® version 3.0 or later allows you to code an entire transcript, document, pleading, or research document with issues. Doc-Level Issues also provide a method of transferring issue codes applied to documents in other software products, such as Case Logistix®. 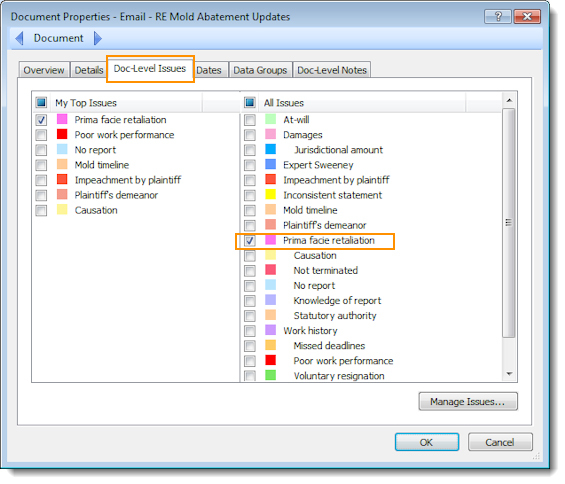 For example, if you import discovery documents from document review software, those issue codes can be transferred into Case Notebook as Doc-Level Issues. To assign a Doc-Level Issue in Case Notebook, right-click a transcript, document, pleading, or research document in the right pane and click Properties on the menu. In the Properties dialog box, click the Doc-Level Issues tab, then select the check box for the issue you want to apply. 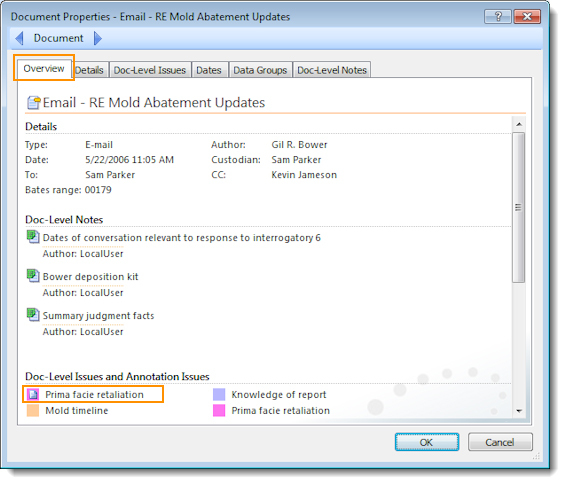 the Overview tab in the Properties dialog box under Doc-Level Issues and Annotation Issues. the Doc-Level folder in the Annotations folder for the document. Double-click the issue to display the Doc-Level Issues tab in the Properties dialog box. the Document List, if you are viewing a document.